Whilst sitting on a rooftop and looking through the large mosques, listening to the prayers echoing in the air and the buzz from the streets. That is the chaotic city of Istanbul, the magical place where East and West meets. 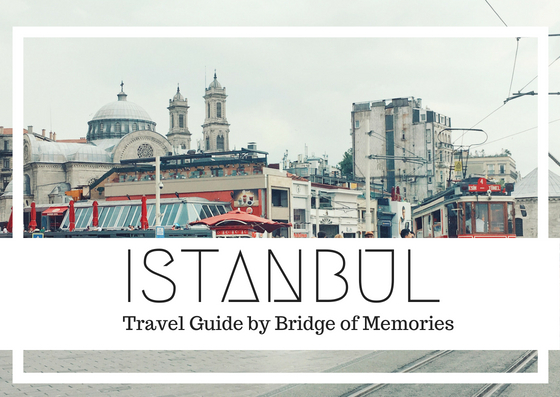 There are things that you may already know about Istanbul. Such as that it is not the capital of Turkey, or that it was once called Byzantium and them Constantinople. Nowadays, Istanbul is centered around Sultanahment, home to three major sights - Hagia Sophia, Topkapi Palace and Blue Mosque. Istanbul has both Asian and Wester influence and it is mesmerizing to see the variety of cultural impacts. 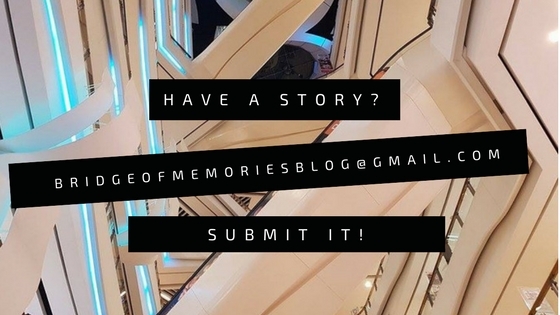 Read more to see what you can do, see and go around Istanbul. 1. Hagia Sophia Hagia Sophia once was a large Orthodox church, then the building served as Ottoman imperial mosque and now it is open as a museum for visitors to come in and explore the variety of religious that has been passed in this large building. It is famous for its large dome in the middle that has been demolished by earthquake back in times. 2. Topkapi Palace Topkapi Palace is a large area with museums and gardens for visitors to come in and explore the Ottoman sultans habits, living style and culture. In the 15th century, it served as the main residence and administrative headquarter for Ottoman sultans. The diverse rooms, the interior design and the beautiful gardens is very impressive and worth strolling around for hours. 3. Blue Mosque The Blue Mosque, or so called The Sultan Ahmed Mosque is located just opposite of Haga Sophia. It is one of the main sights and an icon for Istanbul city. This mosque continues to function as a mosque today. Therefore, dress appropriately and respect the praying times. In fact, the mosque is closed during the praying times, so check before when visiting. There is also a small booth nearby where they can lend you long scarves to cover yourself. However, if you are around the praying time, it is magical to stay at the background and hear the prayers speaking up on a microphone from one mosque to another. In particular, from Blue Mosque to Hagia Sophia. 4. Galata Bridge Cross the Galata Bridge and you will find yourself in a vibrant area full of shops, boutiques and restaurants. The Galata bridge spand the Goldern Horn in Istanbul. What is interesting about it, is not only the views from river side, but also that many fisherman are fishing from the bridge. You would never see something like this elsewhere! 5. Basilica Cistern Located under the large public square, Basilica Cistern is the largest of several hundred ancient cistern that lie underneath. Built in the 6th century during the reign of Byzantine Emperor Justinian I. This large space is pretty impressive with large marble columns and Medusa column base. 6. Grand Bazaar Another icon of Istanbul. Grand Bazaar is one of the largest and oldest covered market complex in the world attracting many visitors daily. You will find all kinds of things. From souvenirs, gold, clothes, antiques to carpets. There are places where you kind bargain or they have fixed prices. The Bazaar have many exits and entries, so it is no surprise if you will get lost around here or that you will walk around the same place couple times. 7. Spice Bazaar After Grand Bazaar, Spice Bazaar is another known under cover market complex. Here they are specialised on spices (no wonder the name, right? ), teas, nuts, dried fruits, Turkish delights or souvenirs. It is significantly smaller compared to Grand Bazaar, it has approximately around 85 shops only. 8. Suleymaniye mosque The Sulemaniye mosque is an Ottoman imperial mosque and it is the second largest mosque in the city. Known for best sights of Istanbul. The mosque is definitely less crowded then Blue Mosque, and equally beautiful. Again, bear in mind their praying times and dress code. 9. Galata tower If you are looking for a place to get some great bird views over Istanbul, visit Galata tower located on the other side of Galata bridge. A medieval stone tower in the Galata/Karakoy quarter is most striking landmark that dominates the skyline. 10. Taksim square Taksim square is a major destination for people seeking for leisure, entertainment, restaurants and shopping. It is located in the modern part of Istanbul, and you will see the difference being around here and around Sultanhmet square. 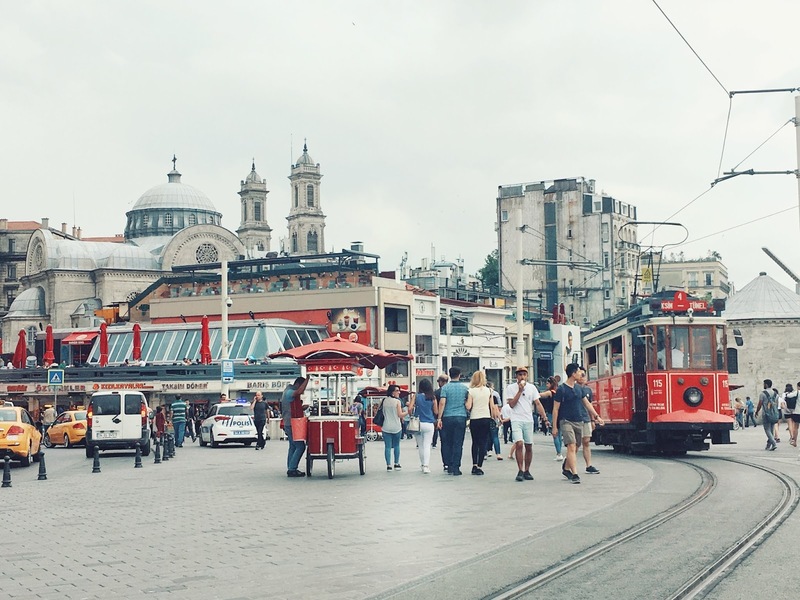 From Taksim Square, there is a long pedestrian shopping street at which you may notice a heritage tram line passing through. This tram goes from Taksim to Tunel and it is called a Nostalgia Tramway, as it operates on the same alignment where trams last ran in 1956. 11. Dolmabahce Palace Located in the Besiktas district of Istanbul, Dolmabahace Palace served as he main administrative center of the Ottoman Empire, where last Ottoman Sultan reside here. Built in the 19th century and it is a glorious palace influenced by neo-classical and Ottoman architecture. Part of this palace, there is also a National Palace Painting Museum which you may visit. 12. Ortakoy Mosque Located in Besiktas district, a bit further then other monuments and tourist sights are, but this Ortakoy Mosque is built in baroque-style, by one of the architects who worked on Dolmabahce Palace. The modern Bosphorus Bridge is just around the corner, making it great for a photo spot and for the ideology of "old meets new". 13. Watch whirling dervishes performance When looking for activities, try to book to go to see Sufi whirling. You may find on internet plenty of facts and things you wouldn't knew about Sufi. But in short, this whirling dance is practised by the Sufi Dervishes and acts as a meditation practice. Listening to music, focusing on God and spinning the body in a repetitive circle, which is a symbol of planets in the Solar System orbiting the sun. 14. Try out traditional Turkish bath Turkish bat is a type of public bathing associated with the Ottoman Empire culture and widely present in the Islamic world. The process is something like in ancient Green and Roman bathing practices. Where you go from hot rooms to hot rooms, before you was yourself in a cold weather and undertake massages for relaxation. 16. Cross to the Asian side of Istanbul and discover extra dimension to a visit If you have more time, try to explore and compare the differences in both European and Asian side of Istanbul. Istanbul is full of spices and delicious food. Turkish cuisine is heritage of Ottoman cuisine, heavily influenced by Middle Eastern, Central Asian, Balkan cuisine and Eastern European cuisine. Thus you may find a lot of rich flavour and spices in Turkish food. Among all the food, tradition food of Turkey is Doner kebab or other types of kebabs, yapra sarma, kofte or baklava. During our stay, we stated in two different hotels, once located in the old city and second one nearby Taksim square. It was great experience staying in two different places in Istanbul, especially was great to get around by foot. Booked my hotel through Booking.com (make sure to book it via my link to get discount). However, if you prefer having your own space, check Airbnb what they got. Istanbul old city is easy to walk around and I do encourage you to walk in order to not miss some great coffee or tea places or just to stroll around markets. However, there is also good links via tube, buses or trains around Istanbul. I would say that it is not the most convenient way to get public transport. However, to get to the airport, you may hop on a tube and it takes about an hour to go straight to the airport. Taxis are relatively cheap as well, but make sure not to get scammed! In order to get to Asian and European side, it is connected via rail tunnel or you may travel by ferries. Ferry trips is a great way to explore the city on the water as well as it will give you some great views on both sides of the city.